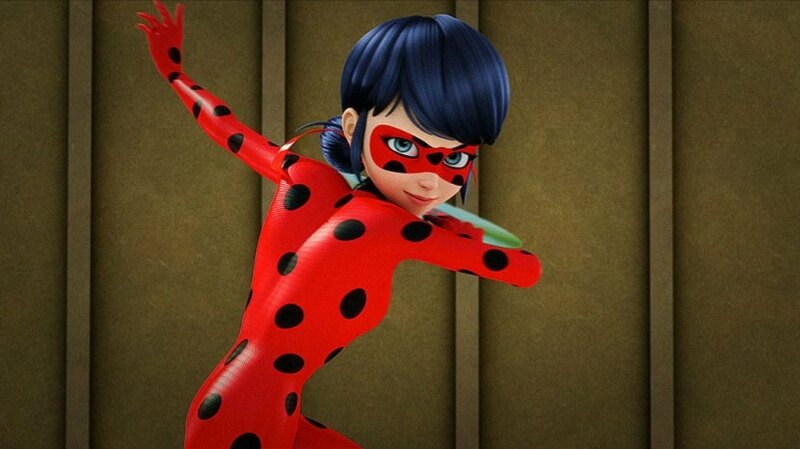 ‘Miraculous: Tales of Ladybug & Cat Noir’, also known as ‘Miraculous Ladybug’, or simply ‘Miraculous’, arrives from producers Zagtoon and Method Animation in France, in partnership with De Agostini Editore in Italy, Toei Animation in Japan, and SAMG Animation in South Korea. This CGI animated show derives its inspiration from superhero tales. The story primarily revolves around two Parisian teenagers, namely Marinette Dupain-Cheng and Adrien Agreste. Marinette appears to be the normal teenage girl in front of the general public. She dreams of becoming a fashion designer, is kind of awkward, and harbors a crush on one of her classmates. However, Marinette has a hidden secret, unknown to anyone. She leads a double life, fighting as a superhero named Ladybug, when the city needs her help. During her quests, she is helped by a Adrien, who goes by the name of Cat Noir. She insists that she does not need his help, but she is unaware of the fact that his alter ego is her fellow crush. Their main mission is to protect their city, Paris, from threats of villains and evil powers, and especially from the super villain Hawk Moth. ‘Miraculous: Tales of Ladybug & Cat Noir’ debuted in South Korea on September 1, 2015 on EBS1. After this, it was released in France on October 19, 2015 on TF1. In the United States, the series premiered on Nickelodeon on December 6, 2015. 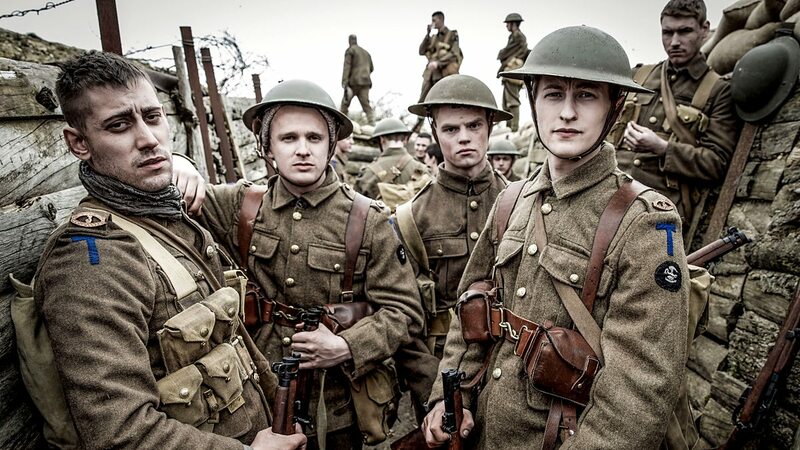 This was again followed by the show airing in the United Kingdom and Ireland on 30th January 2016 on Disney Channel. After the release of A Christmas special episode in 2016, the second season premiered in French on TF1 and in English on Disney Channel UK and Netflix in 2017. You can watch it here. ‘Power Rangers Ninja Steel’ was developed and released as the 24th instalment of the popular, long-running ‘Power Rangers’ franchise. This American TV program, like all its parent titles, is produced by mainly using footage, costumes, and props from the Japanese Super Sentai series, ‘Shuriken Sentai Ninninger’. Saban Brands feature as the producers for this show, which debuted on Nickelodeon on January 21, 2017. Now, what is the plot of this series? Well, the story goes somewhat like this. 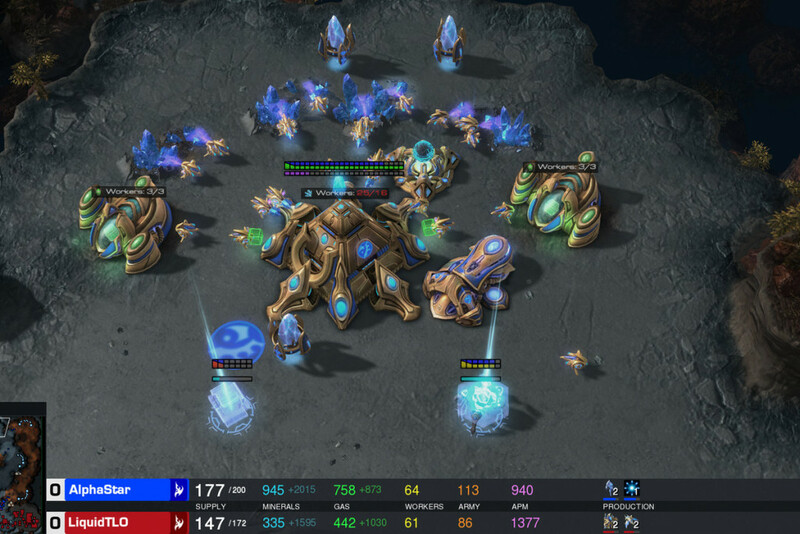 An evil Galvanax is seeking to conquer and take over the reigns of the galaxy, with the help of his minions. However, our team of superhuman Power Rangers tries to stop him, foil his plans, and save the earth from destruction. In their quest, all of the crew members have to work together and use their ninja powers to the fullest, so that they can thwart the attempts of this evil force which aims to dominate the universe and wipe out humanity. You can watch it here. 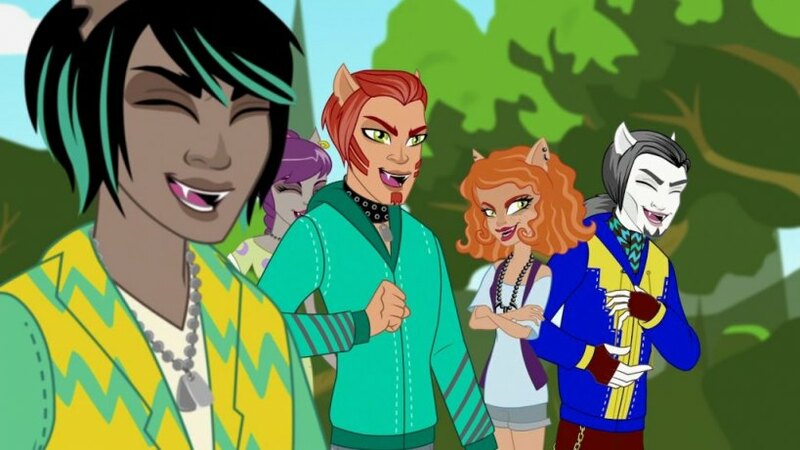 ‘Why Do Ghouls Fall in Love?’ is the third TV special from the ‘Monster High’ animated franchise. If you already are aware, the characters of ‘Monster High’ draw inspiration from monster movies, sci-fi horror, thriller fiction, and a number of other supernatural creatures. Developed by Garrett Sander and illustrated by Kellee Riley and Glen Hanson, this franchise also offers several products like stationery, bags, key chains, toys, books, and play sets. ‘Why Do Ghouls Fall in Love?’ centers around Draculaura, who is confused between two of her guy fellow mates. Her 1600th birthday is approaching fast and this is the reason for another special occasion to be celebrated at Monster High. However, things take a devastating turn when she has to choose between two options — her current, practical boyfriend Clawd, and her vampire heartthrob from the past, Valentine. When Valentine creates a holiday in Draculaura’s honor and weirdly names it after himself, her ghoul friends become suspicious. Deciding that something is not quite right with Valentine, they have to stop him from achieving his sinister goals before he steals her heart. Meanwhile, Draculaura, who is torn between these two guys, must arrive at a decision about who is the right person of her dreams. The questions that need answers are: will she find out about Valentine’s evil plan? Can her ghoul friends help her before it is too late? Watch it to know. You can watch it here. ‘Monster High: Fright On!’, just like our previous title, is the second Monster High television special. It arrives as a sequel to New Ghoul @ School, the first installment of the series. This particular episode ties into the doll lines named ‘School’s Out’ and ‘Dead Tired’. 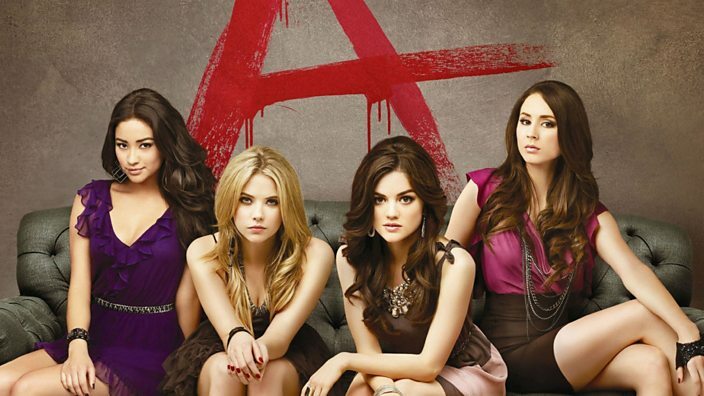 It first debuted on Nickelodeon on October 31, 2011. Monster High is a high school for monsters, where sinister creatures from various locals integrate together, can let their “fangtastic” freak flags fly, and live an imperfectly perfect life. However, when other monster schools get merged with Monster High, the parent institute loses its previous balance and the entire set-up falls into chaos. This is because of the administrator Van Helscream, who can go to any lengths to disturb the harmony of the school so that he can divide the society into individual groups. Now, Frankie Stein, Clawdeen Wolf, Draculaura and their ghoul friends have to take matter into their own hands and restore the former peace and glory at Monster High. You can watch it here. 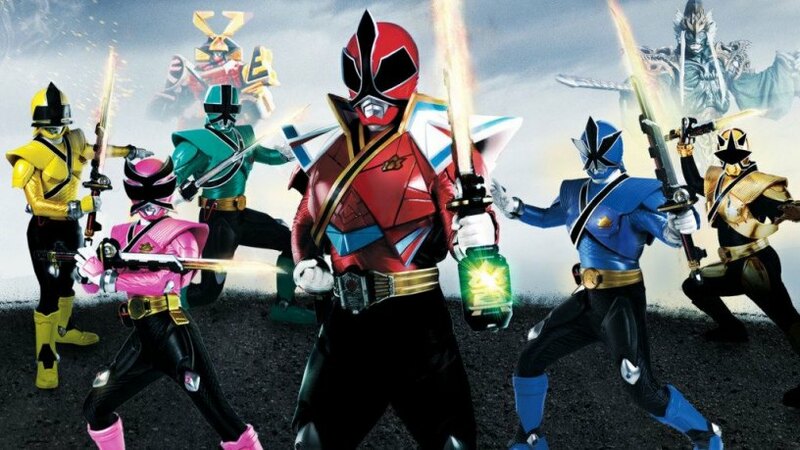 ‘Power Rangers Samurai’ was developed as the 18th season for the popular ‘Power Rangers’ American children’s TV show. Produced by SCG Power Rangers, it debuted on Nickelodeon and Nicktoons on February 7, 2011. The samurai version is split into two parts, each comprising 20 episodes and the second part titled ‘Power Rangers Super Samurai’, which premiered on February 18, 2012. Also known as the 19th season of the franchise, this show chronicles the events after the Samurai Power Rangers are called to defeat the wicked Master Xandred and his huge army of Nighloks. Our superheroes need to do this because the evil forces will otherwise flood the planet with the waters of the Sanzu River and completely destroy human civilization. You can watch it here. ‘Monster High: Friday Night Frights’, yet another ‘Monster High’ TV special, arrives as the seventh episode of the franchise. It debuted in 2012 and revolves around the Skulltimate Roller Maze Championships. Now, when the boys are unable to participate in this event, Frankie Stein convinces her friends that they can save the day only by using some ‘ghoul power’. You can watch it here. 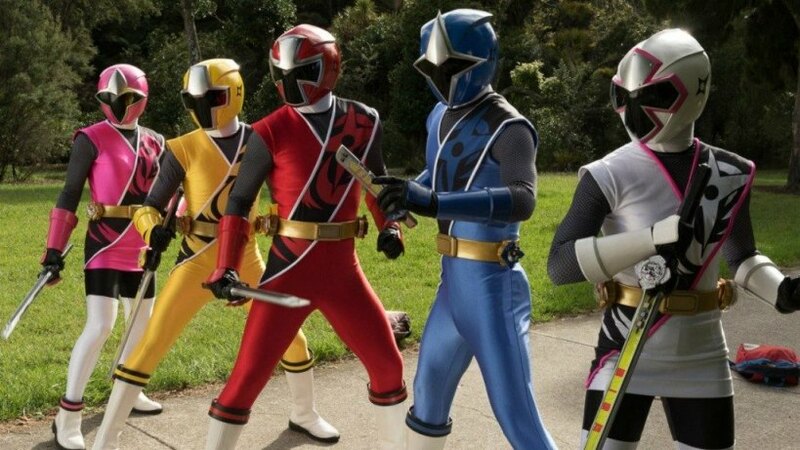 ‘Power Rangers Clash of the Red Rangers’ was released as a two-part special for ‘Power Rangers Samurai’. The story primarily centers around the team up between the Samurai Rangers and Ranger Operator Series Red of Power Rangers RPM. This particular episode uses footage from the Super Sentai movies, namely Samurai Sentai Shinkenger The Movie: The Fateful War and Shinkenger vs. Go-Onger: Ginmaku Bang!! It deputed on November 26, 2011 and features a run time of 60 minutes. 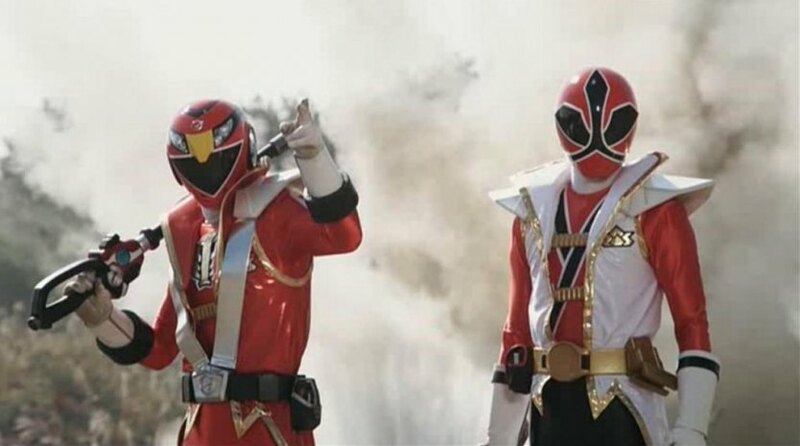 Here, the Samurai Rangers join hands with the mysterious RPM Ranger Red in order to battle the army of Master Xandred’s Mooger and another robotic super-villain from the RPM Ranger’s dimension. In a shocking turn of events, during this ongoing conflict, the two Red Rangers get struck with hypno-bolts and turn against one another. Now, with allies transforming into enemies, the fate of the world is compromised. You can watch it here. ‘Power Rangers Megaforce Raising Spirits’ arrives as the 21st episode as well as a Halloween special for ‘Power Rangers Megaforce.’ When the Mega Rangers are chilling at Ernie’s place, Emma decides to make a pumpkin pie for the team. Meanwhile, Gia, Troy and Noah are busy carving pumpkins. Later, Jake joins the party and informs the guys that there’s a fortune teller’s tent outside and shows it to them. This particular tent was not there in the morning. 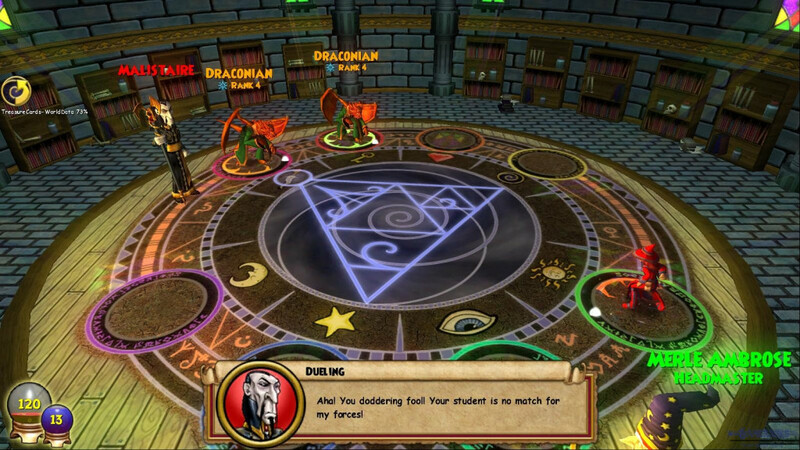 As the story unravels, we find out that the fortune teller is actually a monster named Glytcher, in disguise. He has a special power of being able to make machines malfunction. While checking the fortunes of the Rangers (leaving Emma), Glytcher realizes who they really are. As our heroes, accompanied with Robo Knight, morph and try to tackle him, they are unsuccessful. Emma, who all the while was busy with her baking, sees the situation, leaves Ernie to watch the pie for her, and joins the fight. Together, they are able to defeat Glytcher. After everything is over, they settle for tasting the pie, but are in for another surprise. What is it? Watch it here and find out. ‘Miraculous: Happy Birthday to You!’ is a webisode of ‘Miraculous: Tales of Ladybug & Cat Noir’, which was released exclusively on Netflix on September 14, 2017. The story takes place when our superheroes Adrien and Marinette decide to celebrate her birthday. Coupled with break dancing, dragons, balloons and a DJ, this party could not get any better! You can watch it here. ‘A Christmas Special: Miraculous’ is a special episode that was released as the first part and the season premiere of ‘Miraculous: Tales of Ladybug & Cat Noir’. As we already mentioned, this series is about two teenagers who lead double lives of superheroes and normal civilians and save the city of Paris from villains and evil forces. “Fine. Don’t worry, I’m a tough old Santa. But, what are you doing out at this time of night? Are you lost? You’re not exactly dressed for the cold weather. Maybe you’d like some hot chocolate, I’ve got some left.” Well, this is what Santa says to Adrien when he finds him roaming alone on the streets of Paris. Now, how did he reach there? Season 2 of the show, which exactly addresses the above question, debuted with ‘A Christmas Special: Miraculous’ in the US on December 20, 2016 at 12:00 PST on Netflix, and November 22, 2018 at 07:30 AM on KidsClick. 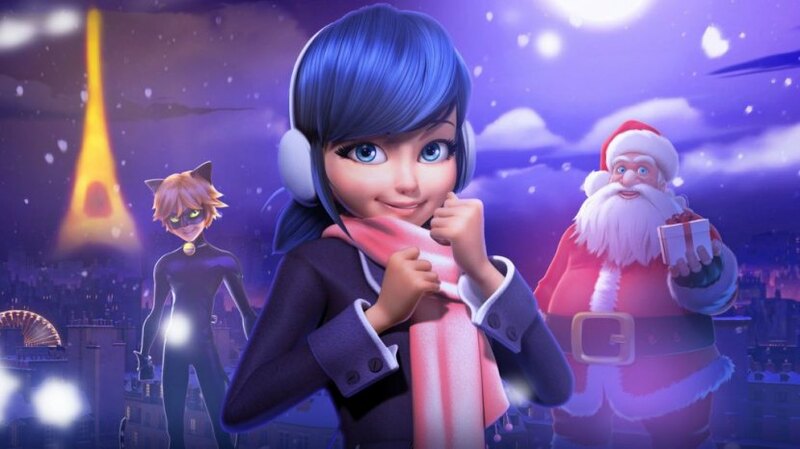 It chronicles the efforts of Marinette who dons her Ladybug avatar in order to search for Adrien (Cat Noir), who has run away from home on Christmas. Adrien also happens to be Marinette’s lonely crush. You can watch it here.